The latest wave of Marvel Legends action figures features a mix of most-requested and never-requested that adds some new characters to Marvel’s 6” scale and also some repeat offenders to the fodder / charity bin pile. 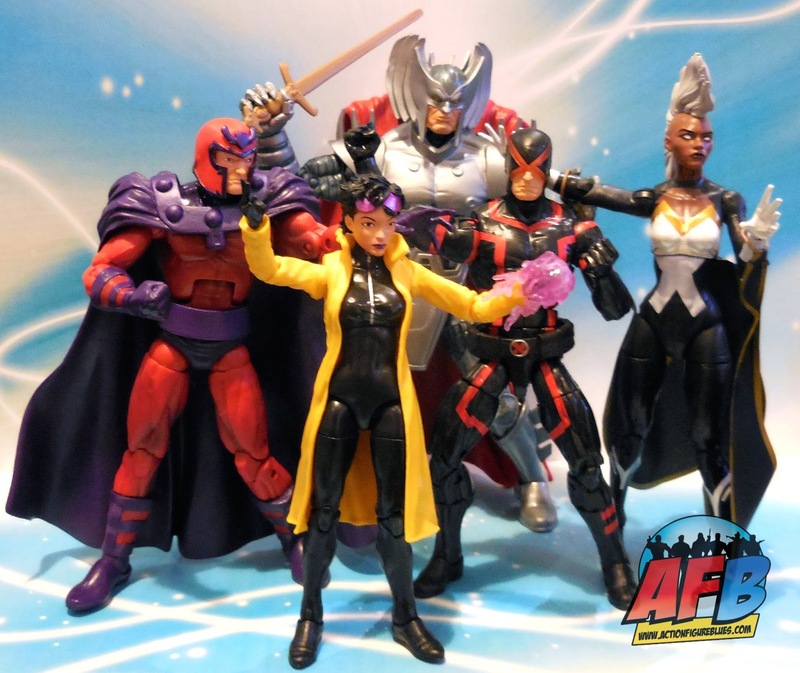 The X-Men Legends Jubilee Wave continues the pattern of smaller characters as the Build-A-Figure. There are five single-carded figures in this wave, four of which are required to build Jubilee. 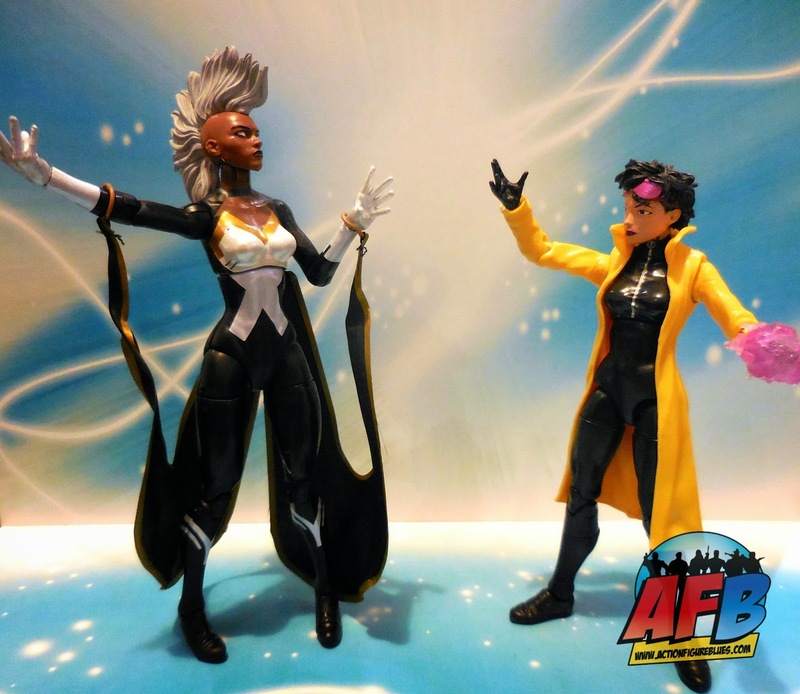 Jubilee has never been on my Top 10 list, but any new character to a line is of interest to me, and for all of the ‘90s X-Men fans out there it’s great to see Jubilee finally getting some attention in the collectibles arena. I think she makes sense as a smaller BAF as well. I had a bit of trouble getting Jubilee’s left arm to snap in snugly, but once assembled she is sturdy and has a good range of movement. Her trenchcoat doesn’t inhibit her movement, and her plasmoids are nice inclusions that add some dynamism to the figure’s pose. Storm is a lovely figure, and certainly the nicest 6” representation of the X-Men’s Weather Goddess we’ve seen. One thing that Legends has executed very poorly over the years is female headsculpts, and it’s nice to see Hasbro start to right this wrong with some lovely Legends females like Red She-Hulk, Medusa and now Storm sporting not just headsculpts that are attractive but that actually have an expression. The fabric of her cape is nicely constructed, but the hoops that attach them to her arms could be a bit tighter fitting so that stay around her wrists for posing – as it is they move about a touch too much. The figure is the least sturdy of the bunch, but can accomplish a range of poses with a bit of effort, and of course would look great on a flight stand. 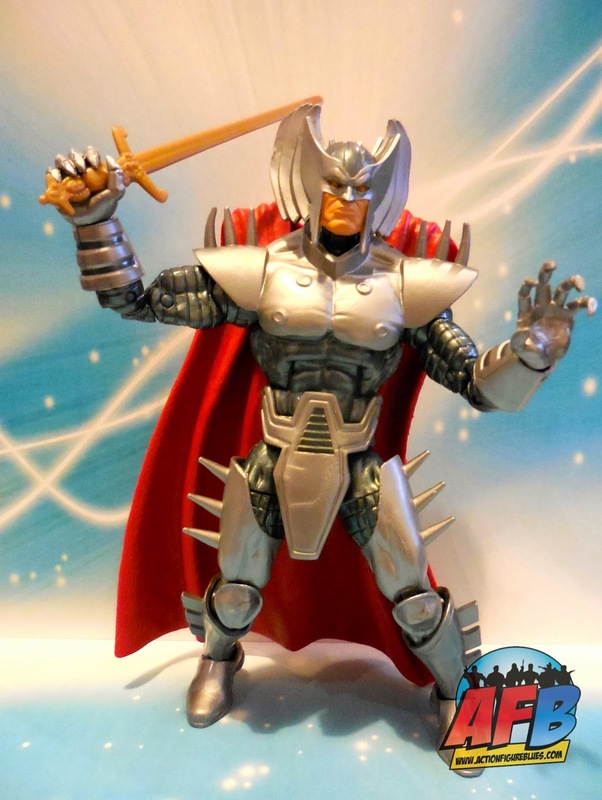 Stryfe is another character who has been clamored for throughout the run of Marvel Legends. Again, not a character I was hanging out for, but a universe builder I’ll take. This is a beautifully sculpted figure with a good range of movement and a massive cape! I’m not sold on his sword – he’s sported some pretty funky tech as weapons which would have been nice inclusions, but I expect that the tooling budget was well and truly used up by Stryfe’s impressive armor. 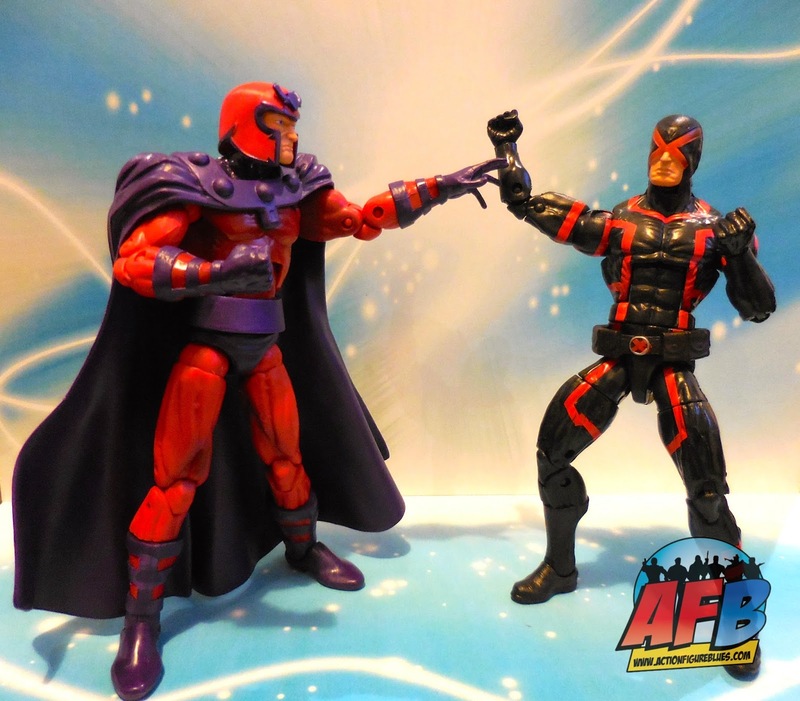 It’s been awhile since we had a Magneto in the Legends line, so I can accept him in this line. I’m actually quite fond of this version of the Master of Magnetism because the face sculpt seems reminiscent of very early comic versions. Seeing as this is a very modern age-focused wave, I don’t know that that was a deliberate choice – but it works for me! Cyclops’ current look in the comics is certainly not my favourite of his appearances, so I certainly wasn’t itching for an action figure representation. Cyclops has had a fair bit of attention in this line, and having had both Cyclops and Wolverine in the last X-Men Legends wave one might think we didn’t need both again, but it is what it is. This is a nicely done figure of a weird costume that I hope disappears very soon. All up – a mixed bag, but overall a set of figures I’m happy to own! You can check out the full photo album of this wave at Facebook and discuss it at the AFB Forum.